City of San Benito Commissioner Antonio “Tony” Gonzales was admitted to Solara hospital in Harlingen over three weeks ago in early March due to complications with pneumonia. “If I walked a bit, even 10 steps, I would get real tired, and my chest hurt bad,” said Commissioner Gonzales over the phone. 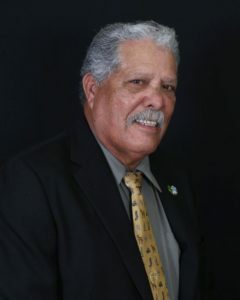 Gonzales’ absence has led to his missing the past two regular city meetings on March 5 and 19 as well as a special meeting earlier this past Tuesday, March 26. Gonzales expressed disappointment for missing the March 19 meeting when commissioners and the mayor were scheduled to discuss City Manager Manuel De La Rosa’s contract during executive session. The result of the vote was 3-1 in favor of awarding De La Rosa a new three-year employment contract. Only Commissioner Rick Guerra voted against the contract. “It was a really important item that I wanted to be present for,” said Gonzales. Gonzales’ last regular meeting in attendance was on February 19, where he expressed discontent over commissioners previously voting without his presence. While commissioners debated whether to grant the San Benito Chamber of Commerce its requested $10,000 in dues, Commissioner Rene Villafranco advised that officials table the item for a subsequent meeting when Mayor Pro Tem Carol Lynn Sanchez, who was absent, would be in attendance.